Well it's almost New Years Eve! Woo! Party time! Lets face it you're either going to a party, hosting a party, or staying home (like us I still say it's a party if I'm up drinking champagne). And all parties need food. Easy, delicious, and non diet food. So I give you my Chili Dip! I grew up with this recipe. My parents always had requests for us to bring it to parties. Christmas Eve dinner is a snacking type meal and this is the lead. 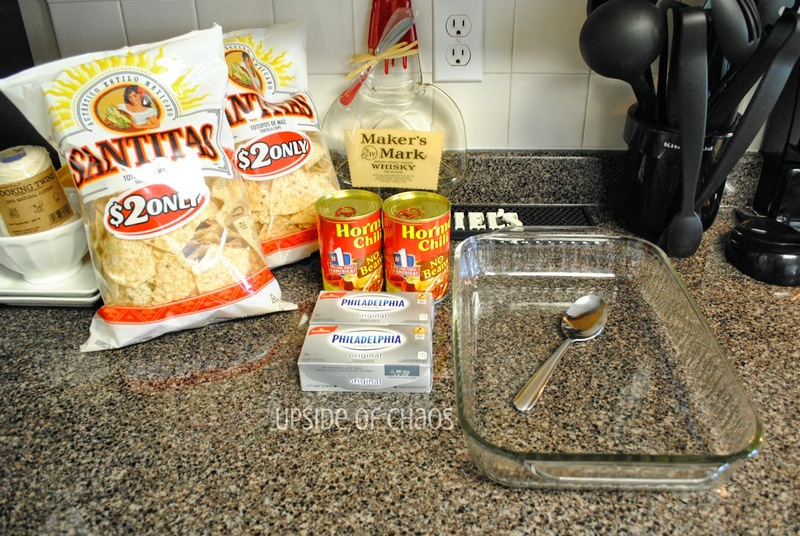 When my parents weren't up for cooking we ate Chili Dip for dinner. And lets face it this is perfect football party food. -a couple of bags of your favorite corn chips. Place your two blocks of cream cheese in the dish. Spread the cream cheese evenly with the back of a spoon. Dump two cans of Hormel Chili NO Beans on top of the cream cheese. We have a few things going on so I'm making two double batches. 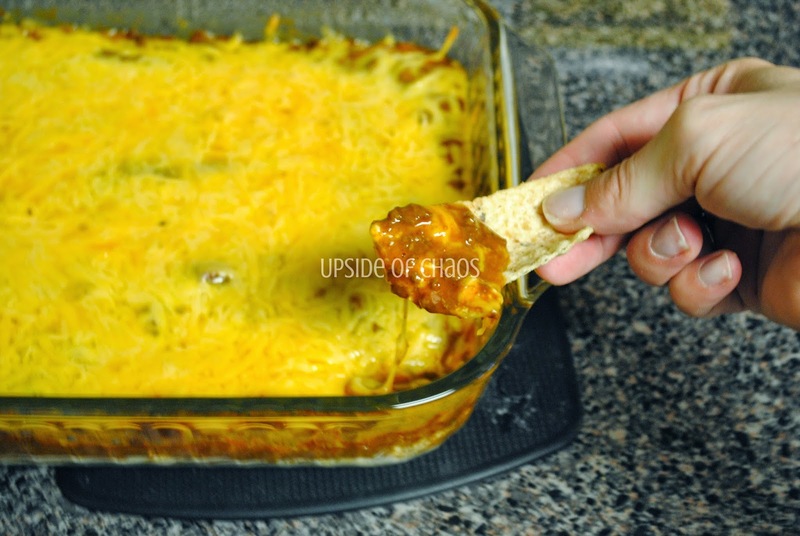 Take a couple heaping handfuls of cheese and spread across the top. Or if you really love cheese just dump the bag on top. You have two options on how you melt all this deliciousness together. You can either bake it in the oven at 350 for about 20 min or whenever it's all melty and hot. Or you can put it in the microwave (turntable off) for 5-7 min. I prefer to do mine in the oven if I'm not pressed for time it warms more evenly and throughly. But the microwave works in a pinch. Check out these yummy melty layers of deliciousness. Caution it will be hot! And it is really hard not to eat right away despite how hot it is. I hope you enjoy! Happy New Year! I love anything with Chili. You really can't go wrong!